McKnight and first author Ilmin Kwon started out studying the loosely structured serine-arginine (SR) repeats found in many splicing factors. 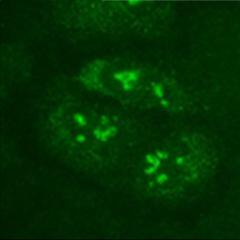 They found that the SR peptides targeted the nucleolus. There, the serines underwent phosphorylation, which caused the peptide to detach from the nucleolus and move into nuclear speckles, where pre-mRNA splicing occurs. A phosphorylation-resistant glycine-arginine (GR) dipeptide did not bind the nucleolus. McKnight declined to comment for Alzforum. 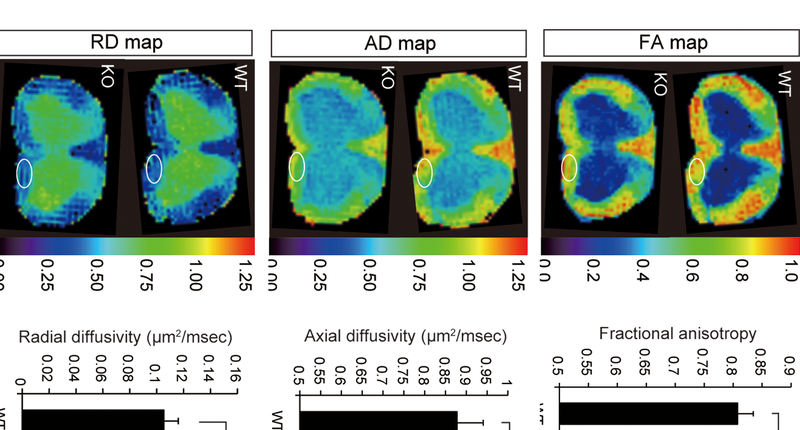 Researchers who did speak with Alzforum found the cell culture experiments to be solid. “These peptides very convincingly enter the cells and enter the nucleus,” said Jiou Wang of Johns Hopkins University. “[Kwon et al.] have certainly demonstrated that these peptides have this specific affinity to the nucleolus.” Wang and colleagues recently reported another link between C9ORF72 and the nucleolus. They found that the RNA products of the C9ORF72 repeats bind nucleolar protein and disrupt normal rRNA synthesis (see Mar 2014 news story). Both RNA- and peptide-based toxic mechanisms could be at play in people, he said. Together, the studies may point to the nucleolus as a “hub for C9ORF72 pathogenic cascades,” Wang speculated (see full comment).